We understand the increasing pressure you are under to deliver results. This leaves teams feeling overwhelmed, and leaders with the demanding task of maintaining 100% passion from every member. Leaders like you, who are committed to success, set the bar high. For this, you need to inspire and galvanise your team daily, especially when the challenge is at it highest, whilst being mindful of wellbeing. That’s exactly where Jaz comes in. Through celebration and provocation, she shifts mindsets resulting in powerful changes to both behaviour and culture. Jaz’s TEDx Talk has been watched by over 11,000 people. It commands a unique level of emotional engagement and compels a measurable shift in the individuals that see it. However, the impact is even higher when Jaz is speaking live. 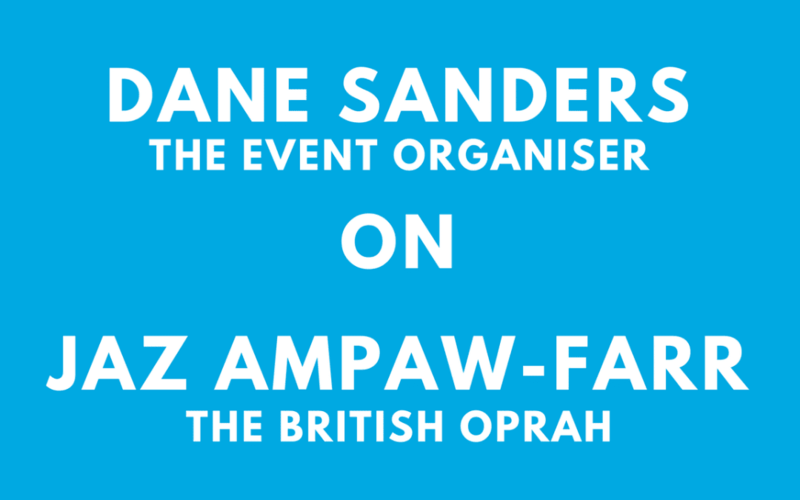 Watch Dane Sanders, organiser of The Go Summit in California at which Jaz delivered the closing keynote this year. “In the years I have been booking international keynotes, I have never seen a speaker have more impact than Jaz Ampaw-Farr. She brings people into the conversation using humour and a disarming ability to persuade the audience to let their guard down, so that they became instantly present in the room. She invites every member of the audience into deep stories around the human condition, that translate beyond her own story to the stories of those whose lives we seek to impact. What Jaz does is… transformational. Her ability to alter the chemistry and invite everybody into the conversation is so uncommon I had to take a minute to send this to encourage other organisers. If you have the chance to have Jaz speak at your event, don’t hesitate. Jaz speaks at a select number of events each year. What’s more, if Jaz fails to inspire you will receive 100% of your money back. In 23 years, Jaz has never failed to authentically wow an audience. The experience stays with your team long after it has boosted their influence. Slots are limited, so please do get in touch today.